Everyone hopes it will never happen, but it can happen and every business needs to plan for the worst. Barring unforeseen events like natural or man-made disasters and theft, there are inevitable hardware failures. 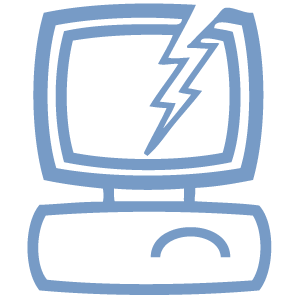 No matter what your business, no matter what size, a computer or network crash can be devastating. It is critical to any business that data is regularly backed up and stored in safe locations, both on-site and off-site so that you can recover safely and smoothly. In the event of a disaster, your data can be quickly recovered. We can even set you up with backup servers that can be quickly brought online either locally or in the cloud in the event of a failure. What needs to be recovered first? What’s the minimum required to get the business working again? If the main office is gone or suddenly without power, where do people work from? Perry’s Networking will work with you to understand these questions, write your IT recovery plan and test to ensure your backup strategy will actually work.